Our Gin is an expression of the wild aromatic treasures found in Québec’s boréal forest. The spirit is distilled in a customized pot still using a specialized botanical basket. This technique allows the warm vapours to extract the delicate botanical oils infusing subtle flavours into the gin. The result is a unique and complex gin that can be enjoyed neat or mixed in cocktails. 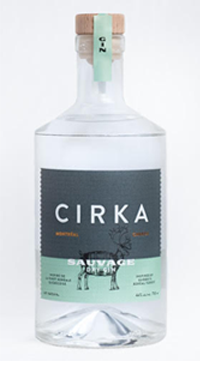 100% Quebec corn and over 30 botanicals are used in crafting this gin. The nose is elegant and complex with notes of flowers, fruit and resin. The flavours on the palate echoe the aromas. Mouthcoating and velvety texture.